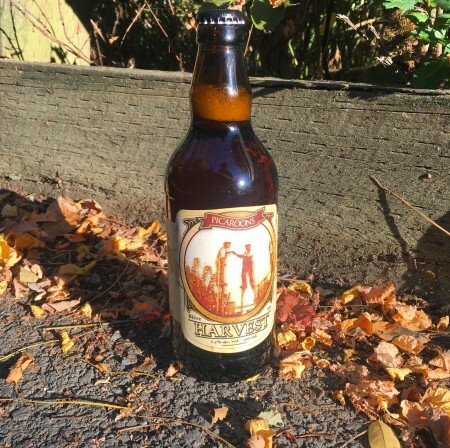 FREDERICTON, NB – Picaroons Traditional Ales has announced the release the first batch of this year’s Picaroons Harvest Ale, a strong pale ale brewed with Maritime malts and freshly picked hops from local farms. This first edition – tagged as Batch 462/463 – was brewed with an eponymous proprietary hop from Moose Mountain Hops, and the inaugural harvest of Centennial hops from the newly opened Bloomfield Hops Farm. Bottles and kegs of the first Picaroons Harvest Ale for 2017 are available now throughout New Brunswick, and additional batches brewed with other local hops will follow soon. More details on each batch – including information about the hops that were used and the farmers that grew them – will be posted on the Picaroons “My Harvest” web page as they are released.